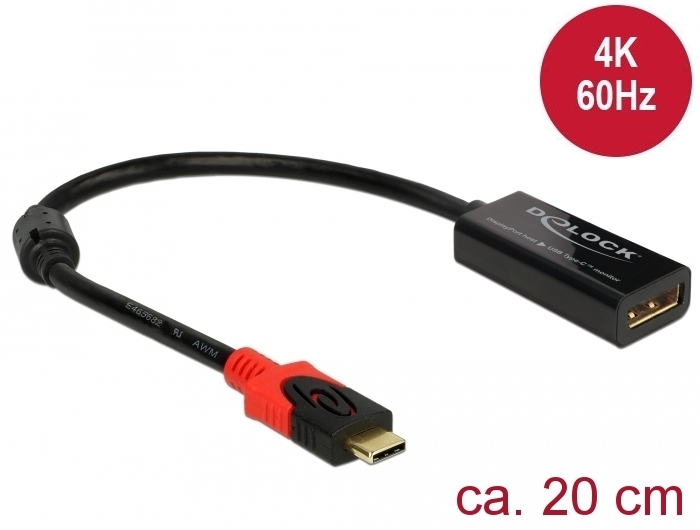 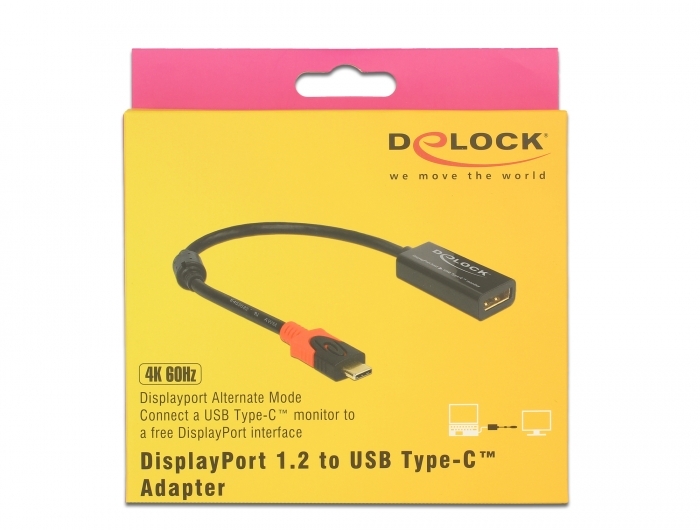 This adapter by Delock is suitable for the connection of a USB-C™ monitor to a computer with DisplayPort interface. 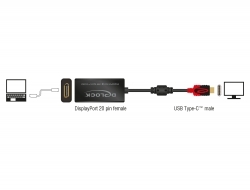 The adapter must be connected to the computer with an existing DisplayPort cable. 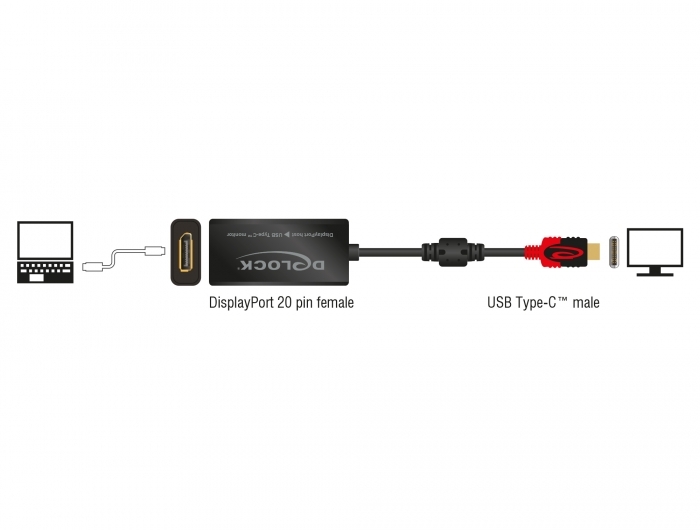 The signals are transmitted via DisplayPort Alternate Mode.